*jumps on bed* I can't wait! For final chapter!!! Were excited and sad but like every great manga it has to come to an end. All we have left is wait until the volume comes out in the states to get our own copy to read over and over again. 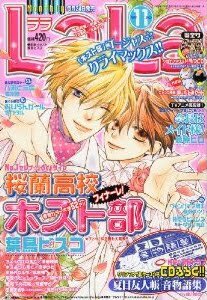 So thank you for updating us on our journey of the Ouran High School Host Club.